Blue Widow is a popular feminized hybrid strain from Dinafem Seeds. 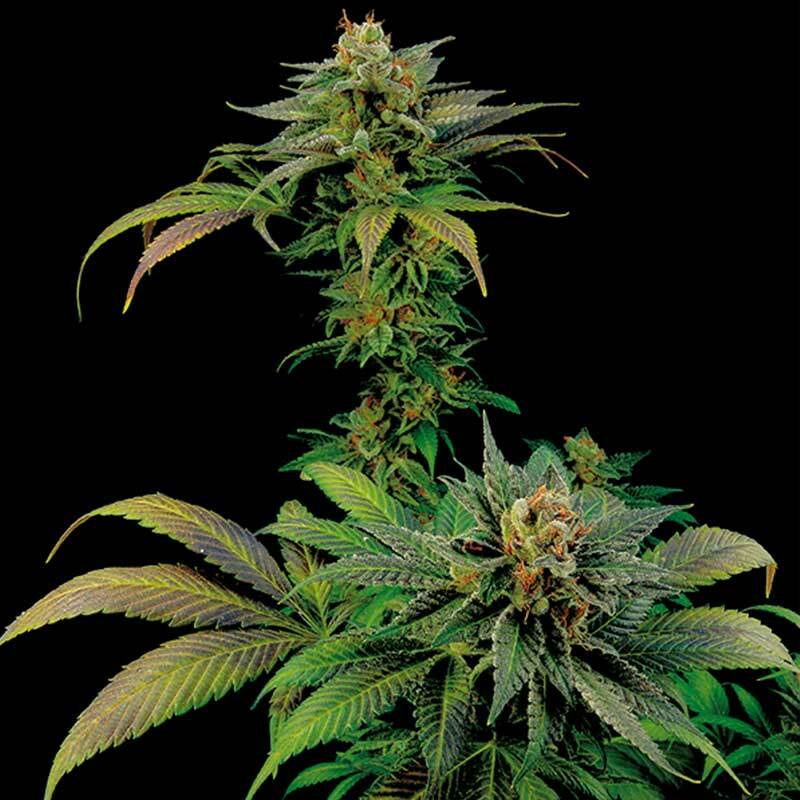 Crossing Blueberry and White Widow, Dinafem have created an extraordinarily palatable strain, well known for its relaxing and long-lasting effects. It is a very complex but balanced hybrid, producing plants which are easy to grow, making it suitable for growers of all levels. Producing vigorous, medium sized plants and flowering rapidly; this Indica-dominant hybrid yields large, dense buds. Blue Widow often produces blue/purple/violet colours in the flowering phase depending on the temperature and climate. Be careful not to overfeed this one. Blue Widow can be grown with ease in most, if not all indoor environments and performs well in Temperate/Mediterranean climates or greenhouses. Great for beginners and experts alike. In terms of taste, Blue Widow is a rich and complex mixture of bitter-sweet berry flavours, with undertones of pine. In terms of aroma, this strain is a mixture of pine and sweet berry. Its effects are powerful, but balanced and long-lasting, expressing a strong, physical, relaxing effect. Which is why this strain lends itself perfectly to any med-user looking for a strain with potent relaxation and anti-anxiety properties. You can buy top-quality Blue Widow seeds now, here at SeedMasters.com!